Riley has started wrestling this year. This is a new schedule for us. I can say from a Mom's point of view it is a little hard to watch. This young man of ours has grown so much in the past year. He is as tall as me and is catching up in weight. He has been so sore and tired. When I ask him if he likes wrestling I get a big smile telling how me much he loves it. 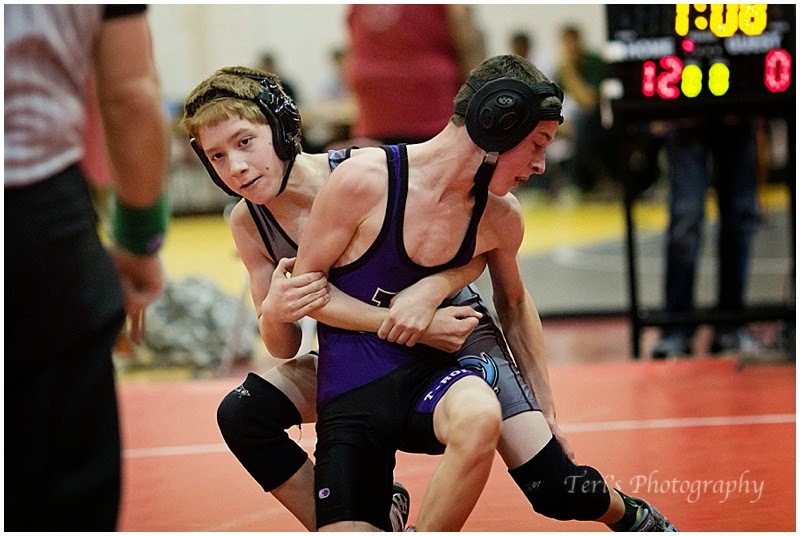 His Dad loved this sport too and I can see Andy expressing more and more of an interest in wrestling. So I will figure out how to photograph it well and learn to watch it without closing my eyes (sometimes).